Here are all the handling and focus rankings. Best Wireless Charger - What to Buy? Apples product is dead in the water - and the alternatives vary WILDLY in price. In this video I compare 10 options and tell you about build, compatibility and usability. This time, the cameras will survive... I hope! In this video I compare 5 sets of filters for the Mavic 2 Pro drone, including DJIs own, PolarPro, Tiffen, Polares, & F Stop - testing both still and video results. Will a NEW CAMERA improve your Photography?? ? We've all heard (& probably said) "The best camera is the one you have with you..." But is it accurate? Is it helpful? Or is it an over simplification that is actually not true at all?? It's been almost 4 years since the original Leica Q was announced, and there have been some big upgrades. 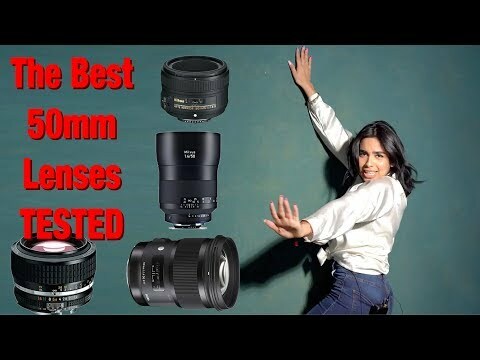 Sony claim the a6400 has the 'Worlds Fastest Autofocus' - and my first video split people - so here is my COMPLETE AF testing.